A CISMA is a Cooperative Invasive Species Management Area. 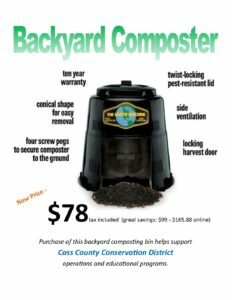 The SW x SW CISMA is a cooperative effort between Cass, Berrien, and Van Buren Counties’ Conservation Districts as well as different partner organizations across the tri-county area. This project was funded in part with funds from the Michigan Invasive Species Grant Program through the Departments of Natural Resources, Environmental Quality, and Agriculture and Rural Development. How to control invasives once found? Be sure to check in with our office as you begin control methods so we can assist, document the project and ensure proper control methods are used (mowing knotweed will just encourage more growth). More detailed info for each species follow these links. 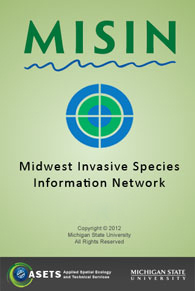 The Cass County Conservation District utilizes the MISIN App (available for Iphone, Android, or for website use) to map invasive species in Cass County. If you think you have a species of concern on your land or you’re interested in volunteering please contact us at 269-445-8641 ext. 5 or the SW x SW CISMA Regional Coordinator at 269-657-4030 x 5.